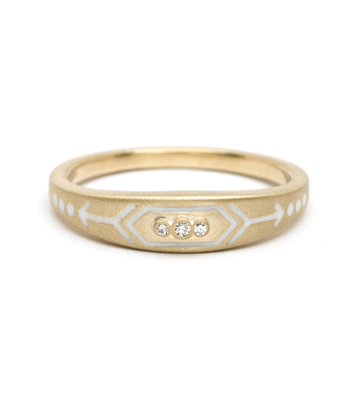 Chic, sleek, and so unique! 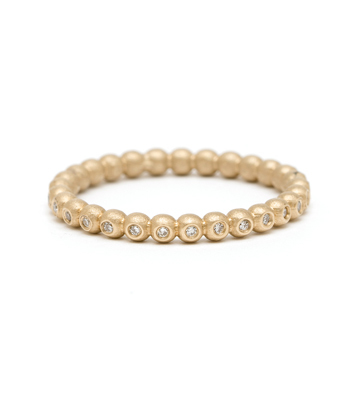 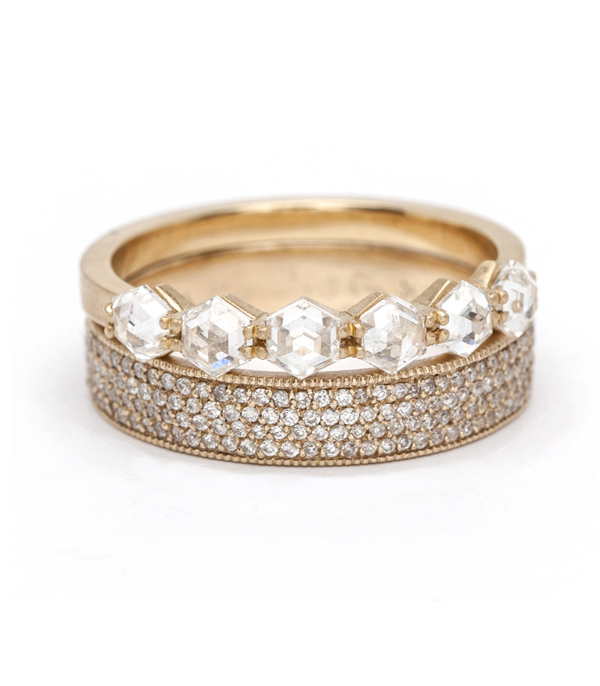 One of our most remarkable pieces, this diamond band is stands apart from the rest. 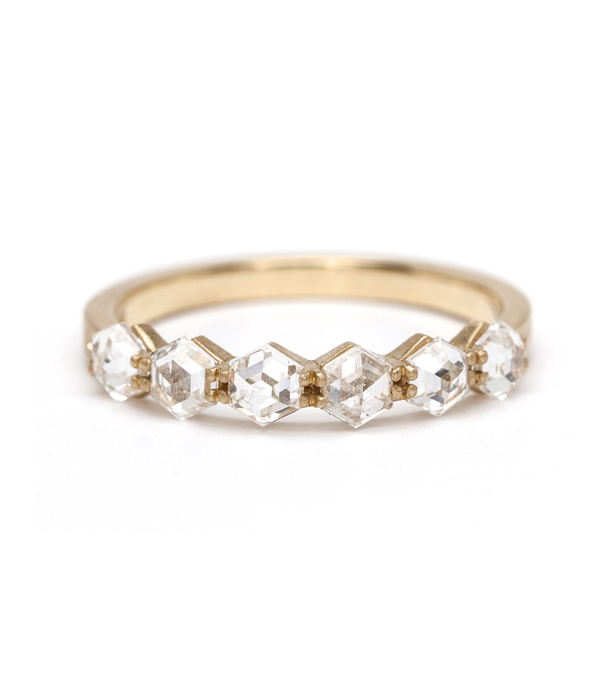 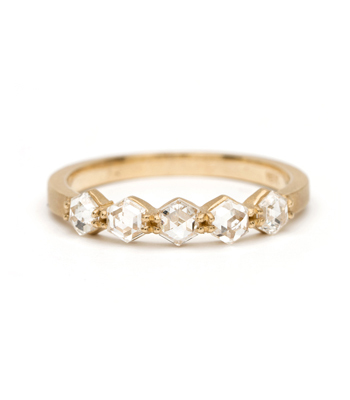 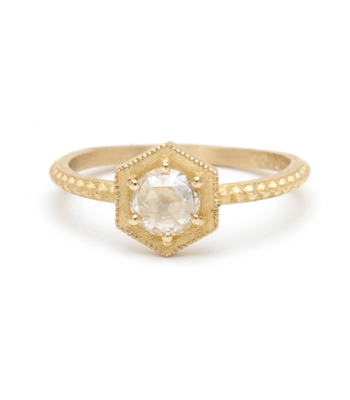 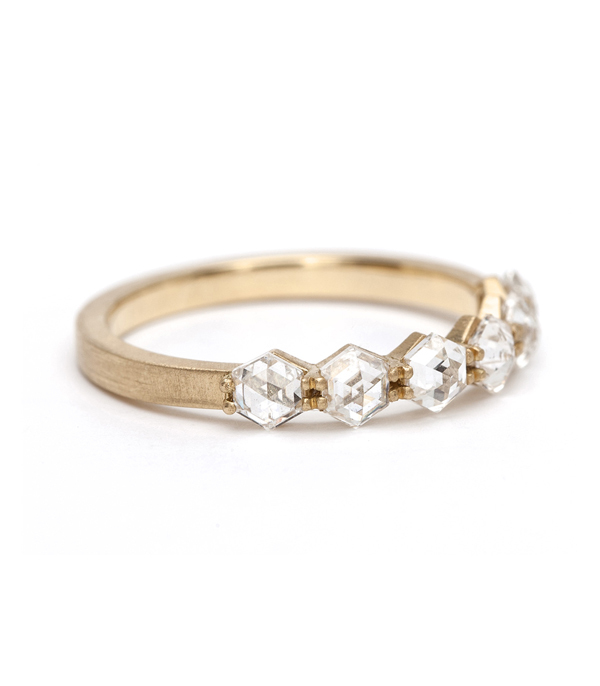 Set with six unique rose cut hexagon diamonds (1.00 ctw) this ring sparkles like no other. 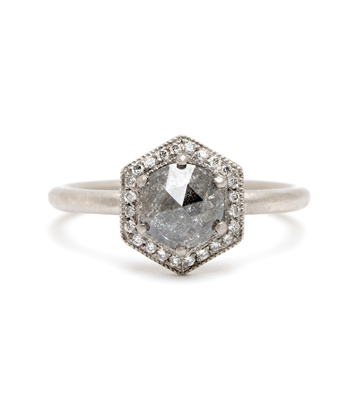 A hint of deco styling is reflected in the stone’s crisp step cuts and geometric design. 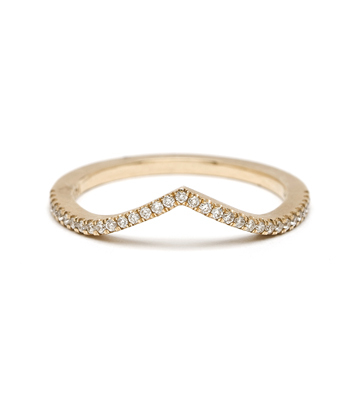 A must-have for any fashionista’s jewelry wardrobe. 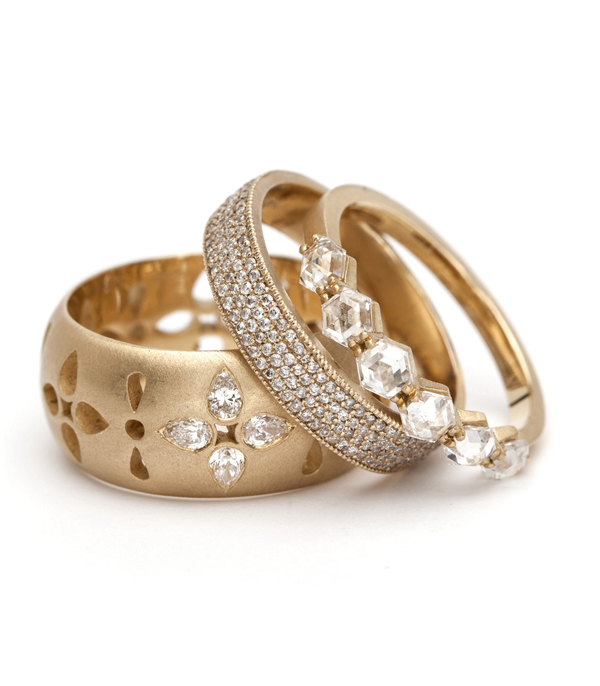 Categories: Aria, City Sophisticate, Rings, Rocking Tradition, Stacking Rings, Women's Wedding Bands.